“The creative isn’t working.” If you work in performance marketing or, well, any other marketing field that deals with creatives, you’ve probably heard this statement before. But should it be taken at face value? And how do you proceed from there? If your ad isn’t working, be it a banner or video, don’t just drop it (like it’s hot) and move on. You should ask a few questions first to establish what actually ‘isn’t working’, why, what you can learn from it, and how to improve it for the next round. As we know, there are endless rounds in online marketing, and even a creative that does work will probably run its course soon enough – so you should always be ready for the next batch. Creative work in the performance field is a tricky one. Coming up with the right creative is a delicate and intricate task. We understand that our art is “the art of making money” for our clients. 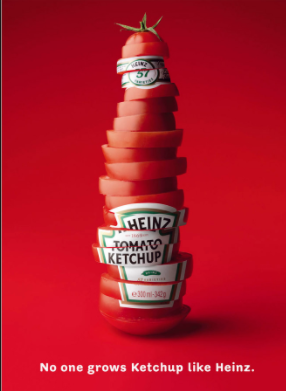 As Ogilvy once put it, “if it doesn’t sell, it isn’t creative”. But the creative itself should consider the targeting and be optimized on an ongoing basis, not just the campaign. If the creative didn’t crack the target audience, didn’t have the right pace, didn’t grab users’ attention from the very start, or didn’t evoke the right emotion than it should have – it simply won’t work. 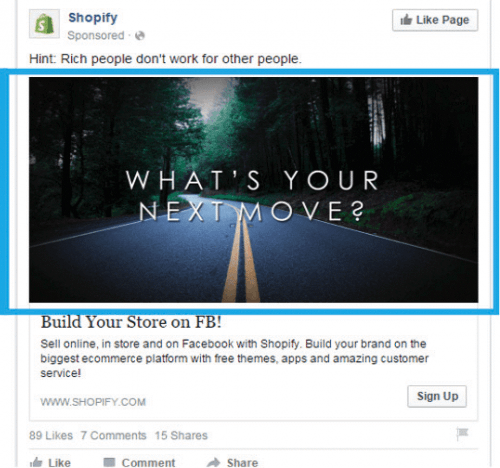 Facebook Ads – Who Cares? 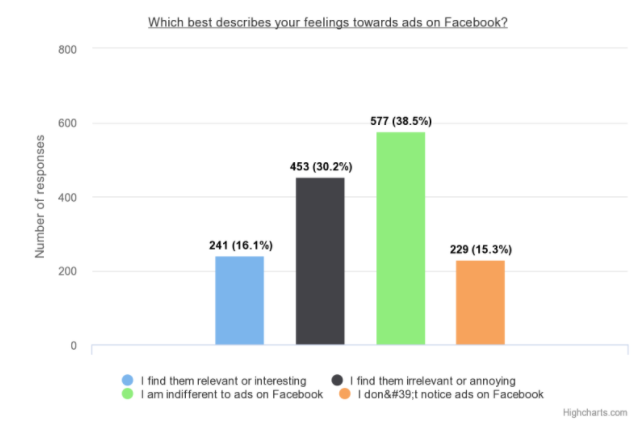 According to a recent survey, 38.5% of those surveyed stated they are indifferent to Facebook ads, while 15.3% said they don’t notice Facebook ads – is that good or bad? Sometimes an ad is so intertwined with the newsfeed, and is so relevant to the user, that it looks more like a story and users don’t even realize it’s an ad. This could be for the better, or not. 16.1% find the ads relevant or interesting (I’m among these people). While most platforms and services are measured on their conversion rate as a metric for success, Facebook measures itself on the number of users worldwide who log into their newsfeed daily. They constantly improve their algorithm in an attempt to make sure that your newsfeed is at its best every time you log in, and that the ads shown to you will be, for the most part, something you’re likely to be interested in. If the ad you’ve created doesn’t blend in but pops out, and is deemed irrelevant to the users seeing it (on a large scale, of course), it simply won’t work. If many users reported it, hid it, closed it – Facebook’s algorithm will make sure your campaign won’t work, or won’t even run to begin with. So that could be one of the reasons your ad isn’t performing, to the point that your audience doesn’t even see it. 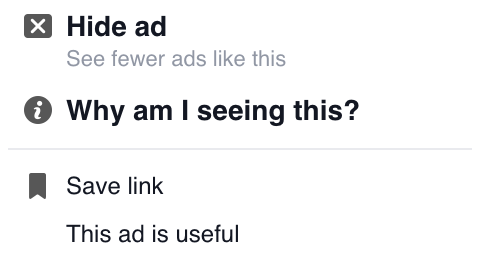 On the other hand, if people will click “this ad is useful”, you will gain more and more reach, boosted by Facebook. It’s therefore in everyone’s best interest to put some thought into your creative. 1. Technically, try to understand what ‘not working’ means. Where in the funnel lies the problem? Did they proceed to the next step? If many users clicked on the ad but then didn’t follow through, we can understand that the ad didn’t explain well enough what will happen in the next stage, and what they’ll be clicking on. If it’s an amazing video of cats and people click through, and then reach a cash loan site, that is obviously not relevant and needs to be refined. What happened later on in the funnel? Did users click and download, but then get stuck in another stage of the funnel? Maybe the creative could emphasize more the service it’s promoting and what users will need to do later in the funnel. 2. Has the ad reached 25 ‘actions’? Facebook only optimizes the target audience of your ad after 25 actions have been taken – whichever action was defined in the campaign, for example, if the action required is an app install, only after 25 installs will it start optimizing the ad. Up until that point, the ad is being pretty much randomly shown to the target audience, so don’t assume it’s “not working” so quickly. 3. Does the ad send a message? And is it the right message? 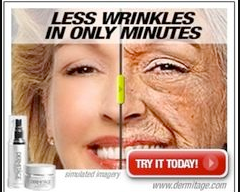 If your ad lacks a compelling message, visually and/or textually, the users snooze, and you lose. 4. Is my visual strong enough? If you look at the ad without reading the caption, will you know what it’s all about? A great ad doesn’t really need text. If your visual message is strong enough, users will linger long enough to read the text and try to understand the message. If it’s too stocky or uses bland colors, it will fall right under the “banner blindness category”. 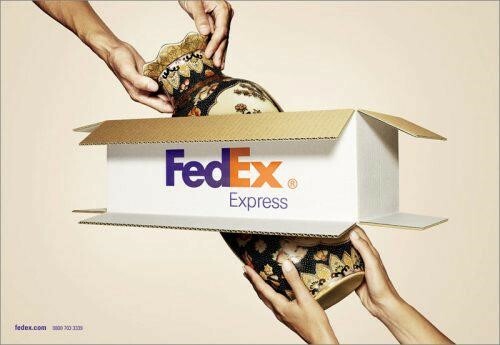 Here’s an example of an amazing FedEx ad – anyone scrolling through will stop to look at this and will understand the message without any text. That’s the ideal scenario. Try to engage. Questions usually make people stop scrolling and take interest. 6. 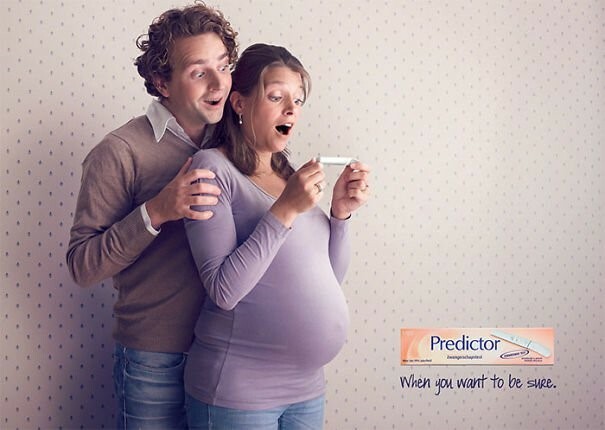 Does the ad explain what to expect in the next step? As mentioned in the first question, your banner/video should clearly explain where users will be directed if they click on it. The right CTA could help – “DOWNLOAD NOW” will explain that you’re going to download an app, for example. 7. Is the rest of the copy mashing together with my visuals correctly? Check the copy being displayed within the ad, and whether it’s sending out the right message. Is it, together with the creative, telling the right story you initially intended to tell? Change the text, everywhere – on the ad itself, in the header, etc. Copy can’t be an afterthought. Surprise the audience with well-crafted, powerful copy that can’t be ignored. 8. Targeting: do you understand your audience? Maybe you need to dig deeper. Use Facebook audience insights to dig deeper into the target audience and try to come up with something that could speak to them. See where you could get more insights on what should make your target audience ‘tick’ (from your BI team, Facebook, focus groups, etc.). 9. Check the actual targeting – am I targeting the right audience? You might understand ‘women, ages 18-35, US’ but maybe you got it wrong? Maybe that’s not who you should be targeting? Start with a wide audience and then see – you might find something new. 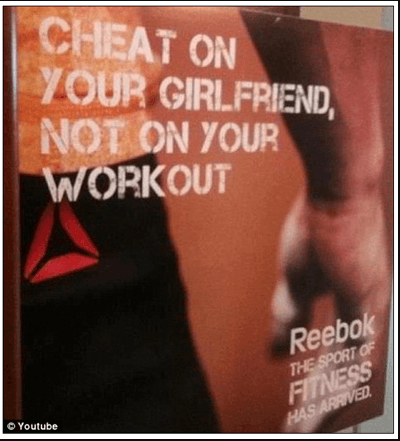 An ad could fail with one audience but work with another. 10. Is your ad relevant? Maybe you’re promoting something that’s usually done at nights, and the fact that you’re running the ad during the day makes it fail? Maybe there’s a cultural or local issue for your audience that you’re unaware of, and your ad completely misses it? Maybe you’re telling the wrong story? Maybe your timing is off? Maybe the message is no longer relevant? 11. Has the ad run its course? What’s the tendency of its being displayed? Your ad can be the most brilliant ad in the world, but if you let it run for months and months at a time, it won’t work. Keep your ads fresh by changing them regularly. For example, I came across this Skinny Mint ‘New Year’s resolution’ ad to ‘Start the year strong – It’s your year!’. Honey, it’s mid-May. And it’s not my year. You should check the relevancy and tendency score of your ads regularly, and if your ad has already been seen by your entire audience several times, drop it! When people see the same ad over and over again, it starts to annoy them so, not only will it not work, people will “hide/ report” it, which will hurt your entire campaign. On the other hand, local/extra-relevant to the time or trend, or something currently happening in the world, will make the ad perform better. If you have an eye for trends and quick response time, you could make ad-magic. Oreo, for example, is known for this. 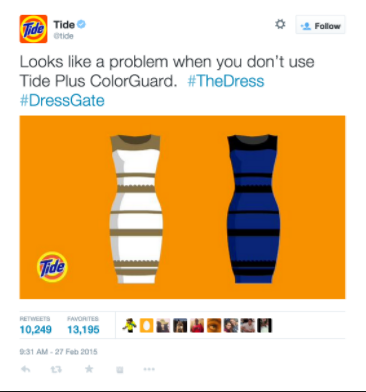 So is Tide, as you can see in the below example – riding the dress trend straight into ad heaven! 12. Do you have references to things that have worked in the past? What can you learn when comparing them to your current ads? 13. What are my competitors doing? For instance, you might see that all of your brands’ competitors are using ‘homemade’ amateur video ads – in the beauty vertical for example, polished TV ads with a supermodel doesn’t work, but videos shot on an iPhone and boomerangs are actually acceptable and could make your ad work better than the mega TV productions. Why? 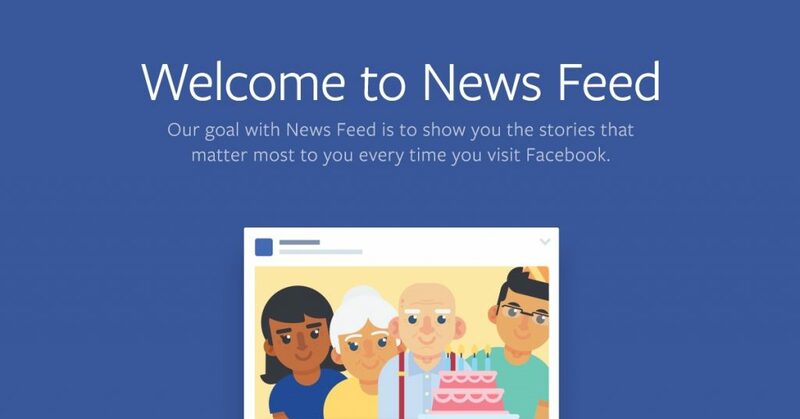 These blend in with the newsfeed better and don’t fall into ‘banner blindness’ territory. Real people speak more to the target audience. So, who knows? If you scope out the competition, you could get new directions to explore. 14. How does my ad make people feel? Check the ad stats. Did anyone click ‘hide’ or was ‘angry’? Ask yourself why and how you could overcome it. Read ad comments – maybe they can tell you something? If users didn’t feel a thing, that’s also not a great sign. 15. What tweaks could improve this? Sometimes even the smallest change could make a creative perform. Size matters – you can try to resize. Speed it up? Slow it down? With or without sound? Add text? Remove text? Even the font or the font size could make an impact. Technicalities, like: Does it fit the platform? Is it readable? Did I put in too much text? As you know, Facebook won’t allow text that takes up more than 20% of the ads, and they may not run your ad if it has more text than that. Check it in the creative hub, see what it looks like on different devices and within your feed. 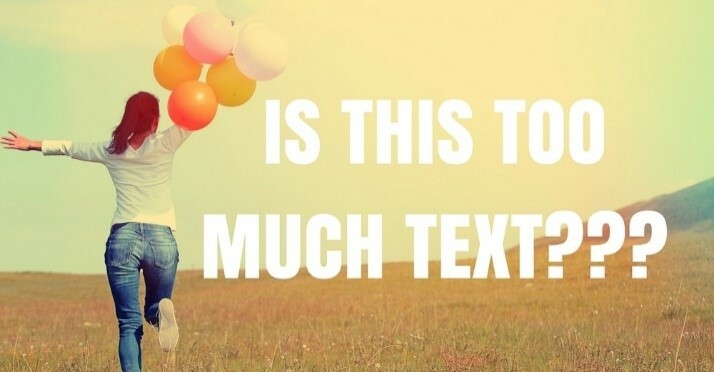 Reducing text could improve results. Always ask yourself, what should I plan to A/B test to learn more? Maybe the same video could work with a man but not a woman in it? Try to always create at least 2 versions for creatives, having a specific question in mind. Change the text, the layout, the main message, try a humorous vs. serious approach, and try to gain insights from one round to the next. That way, if one creative fails, the other one could work and the campaign won’t dry out. And if you are ready to take the guesswork out of your optimization process, talk to us about Alison – our powerful machine learning technology capable of predicting your campaign performance.